17.3 miles, 6:22 hours, highest point 600 m.
Day 2 of the walk. 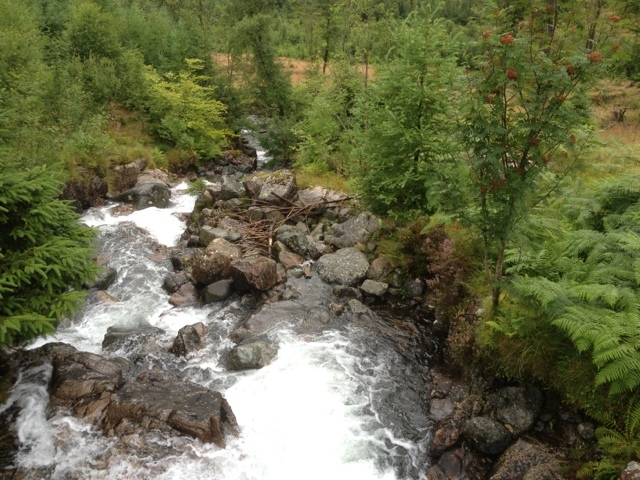 Ennerdale Bridge to Stonethwaite in Borrowdale. No Internet access! Around 17 miles with a high point of 600m. 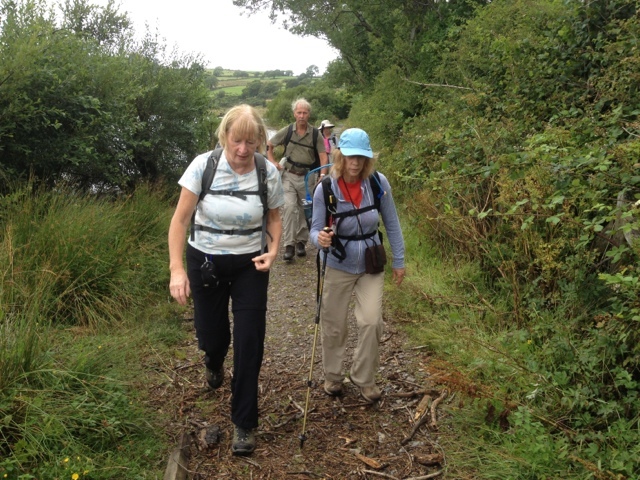 Good walking weather with only one short shower - well it is the rainiest place in England! Walking the north shore of Ennerdale. Walking the south shore of River Liza thanks to a Forestry Commission logging diversion. 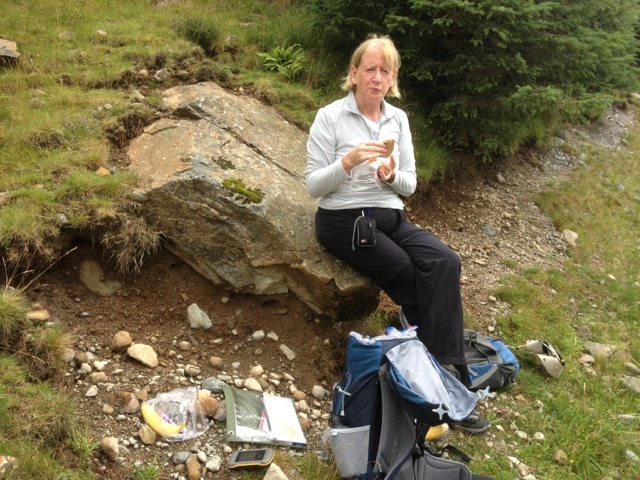 Lunch on the road to Black Sail YHA. 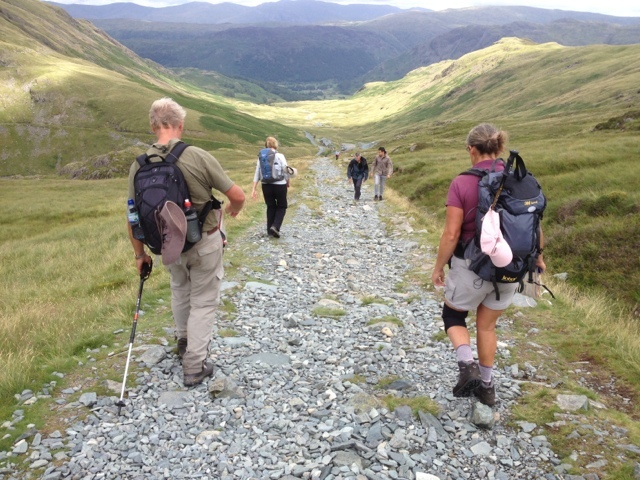 The descent from Grey Knotts along an old tramway. Our overnight stop - the small but perfectly formed village of Stonethwaite. Accommodation at Knott's View Guest House. Supper at Langstrath Hotel.